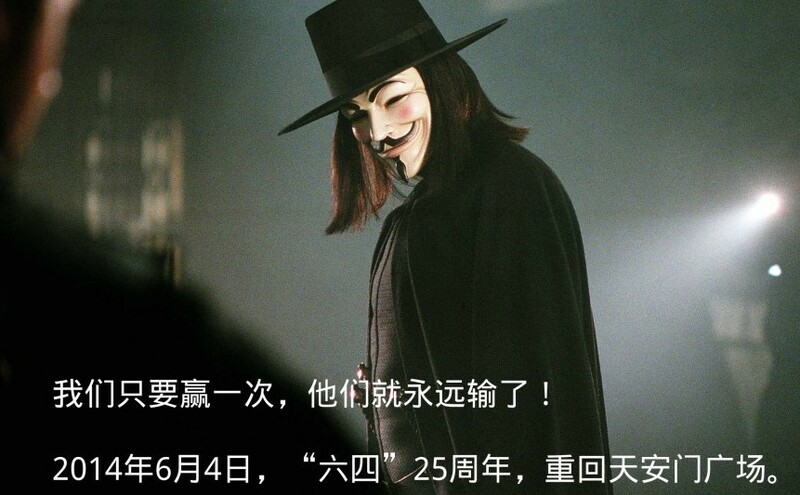 Bei Feng (Yunchao Wen) , a Chinese media person based in New York, has recently planned a June 4th 25th Commemoration. This is called ‘Return to Tiananmen Square’. The event calls for exiled democracy activists, as well as volunteers who work for democracy and human rights, to return to China in 2014. It is suggested that they gather in Tiananmen Square on June 4, together with mainland activists. It is hoped that this may provide an opportunity to reach the goal of ending the one-party dictatorship. The proposal states was published on the internet on August 11. 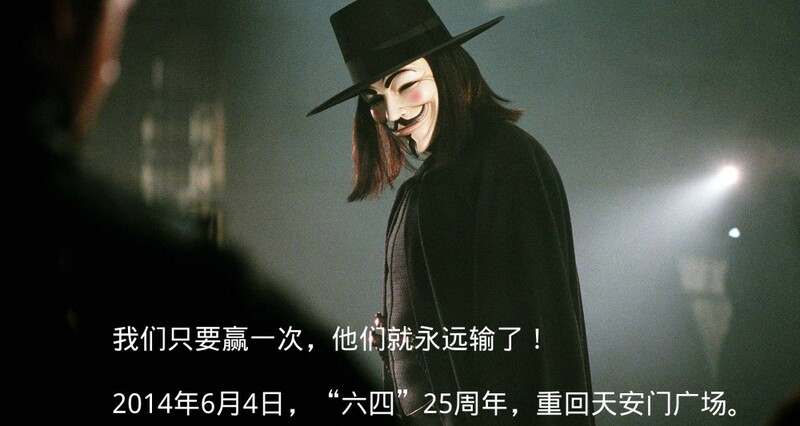 It announced that the goal of the June 4 25th Anniversary: Return to Tiananmen Square’ is a non-violent revolution. It is to “end the one-party dictatorship”. 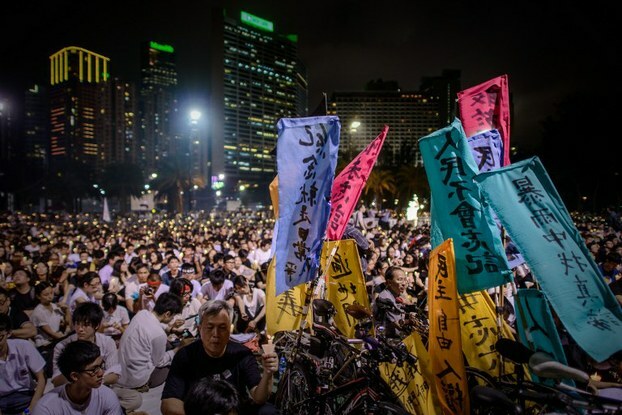 The action calls for tens of thousands of people to gathertogether in Tiananmen Square at 10am on June 4, 2014. Feng Congde, who served as Vice Commander in June 4th 1989 in Tiananmen Square, spoke to VOA. The aim of this action is that, “as long as we win once, they will lose forever,” and end one-party dictatorship. He thinks that it is difficult to reach this goal, but it is very easy to achieve a year-long war of attrition on stability of the regime. In the coming year, the proposal calls for a full mobilization of China’s hundreds of millions of landless peasants, and urban demolition victims. It also calls for the tens of millions of unemployed graduate students who have not found a job in recent years. This is in addition to calling on the millions of petitioning soldiers, dismissed private school teachers, and laid-off state-owned bank employees. It aims to have tens of thousands of people gather in Tiananmen Square. The people responsible for publishing this action is Bei Feng, a media scholar visiting the U.S. Bei Feng spoke to ‘Deutsche Welle’, saying that this action has been formed naturally by a group of people who have the same wish. In the beginning, it was former student leaders in the 1989 student movement, as well as overseas democracy activists. Now, it has been extended to a lot of Chinese netizens. Next year will mark quarter of a century since the Tiananmen Square incident. The Chinese regime has still not formally redressed it. The proposal stresses that the time has come to return to Tiananmen Square. The proposal further states that now the Chinese economy is fragile like an eggshell. Any movement that brings pressure on the system to try to maintain stability may be ‘the straw that breaks the camel’s back’. One of the organizers of the action, Beijing human rights activist Hu Jia pointed out that the CCP has no rights to vindicate June 4. However, the CCP must give an accurate account of history, and with this, cannot escape judgment.